I hope everyone is well! I am super duper happy because the sun is shining and the days are now getting longer, woohoo! After last months March Birhcbox which was pretty impressive I was excited to get my April box. 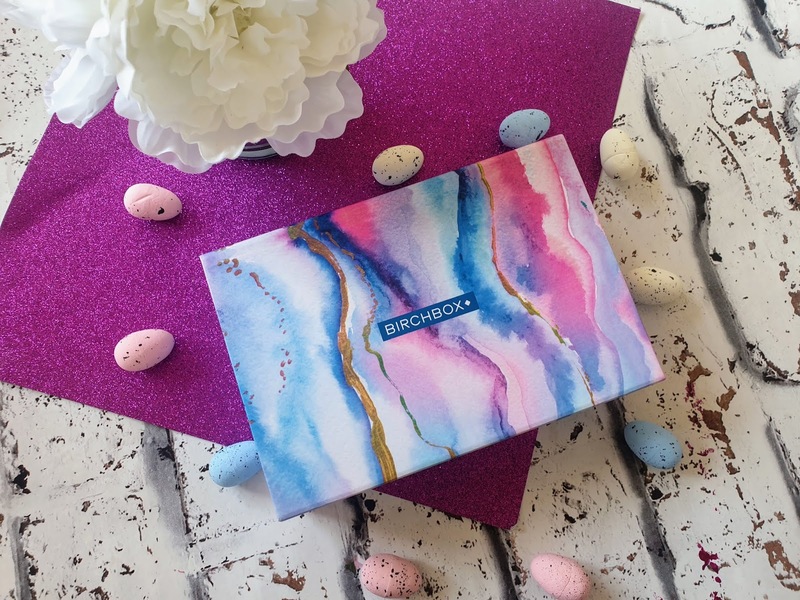 This months box theme is 'You're a Gem' which marks the start of a new season and the box has a gorgeous colourful watercolour style box design. 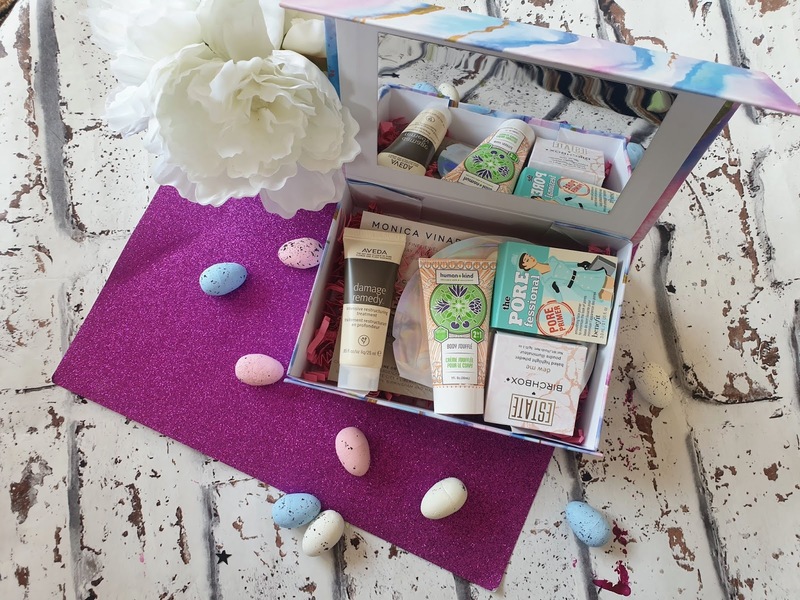 Birchbox is a monthly subscription box and it could contain either 5 or 6 products. The products could either be haircare, makeup or skincare - or even all of them! The box costs £10 plus the price of P&P. I have never tried anything from this brand before but I do love a good highlighter so I am excited to give this a whirl. I got 'Afterglow' which a stunning sparkly light pink and I have to say its the first time I will be trying a highlighter so I am chuffed to see I suit it or not. Now I have had a sample of this primer before and you would think I'd be disappointed to get it again but nope, I just love this primer. I have pores on my cheeks and this works wonders creating an even base for my foundation. These contain real diamond powder ( yes you read that correctly!) and caffeine. These are great after long Netflix binges, night outs or just when you need a bit of TLC. I have tried a few eye pads in the past and I just love how relaxing they are, so I am excited to try these out. This is a lightly whipped cream that has a lovely fresh herbal scent to it. Its meant to be great for moisturising the skin and leaving a nice sheen. When I went to the hairdressers in my early 20's I used to always get my hair washed all the time with Aveda and I actually did buy some of their products too, I did love the products but for me the price range is little out of reach at the moment, even though I do love their products. I am excited to give this product very soon. I have to say I am very happy with this months box, nothing in the box can I say I am disappointed with. 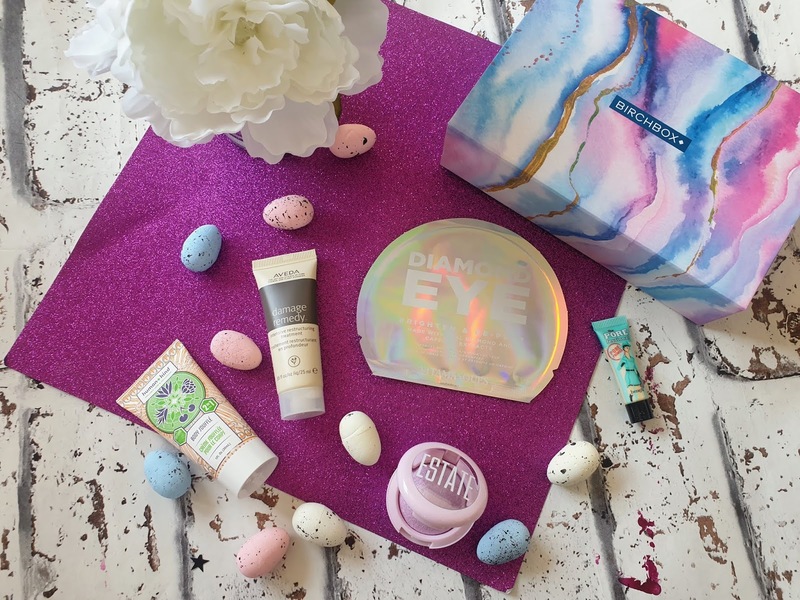 I love the box design and my favourite product inside the box has to be the estate highlighter. I will be using everything over the month and will post my thoughts on them in the upcoming weeks. I really like the box design, its vibrant and a great spring burst. Inside the box, it has a mirror so I think I will be reusing it as a jewellery box. 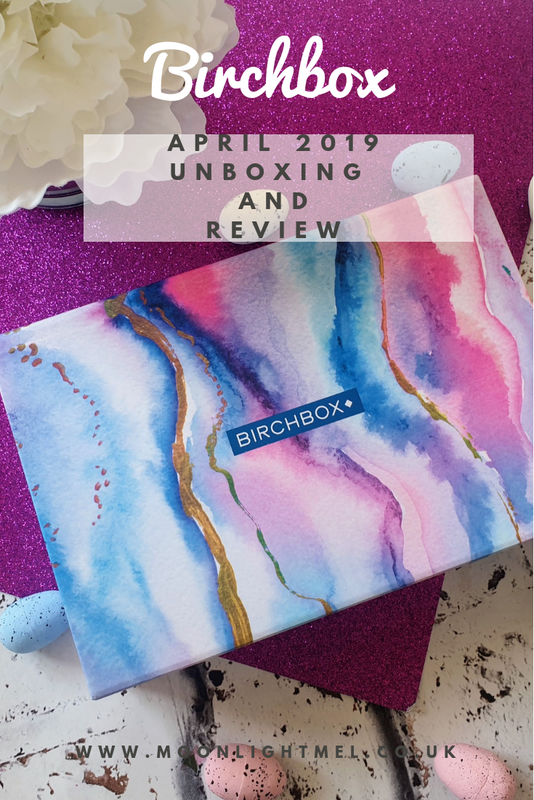 Did you get this month Birchbox?